Springtime is an opportune time to clean your gutters from leaves, flowers, and other seasonal debris. If you plan on cleaning your gutters this Spring, you’re going to need to climb up a ladder. 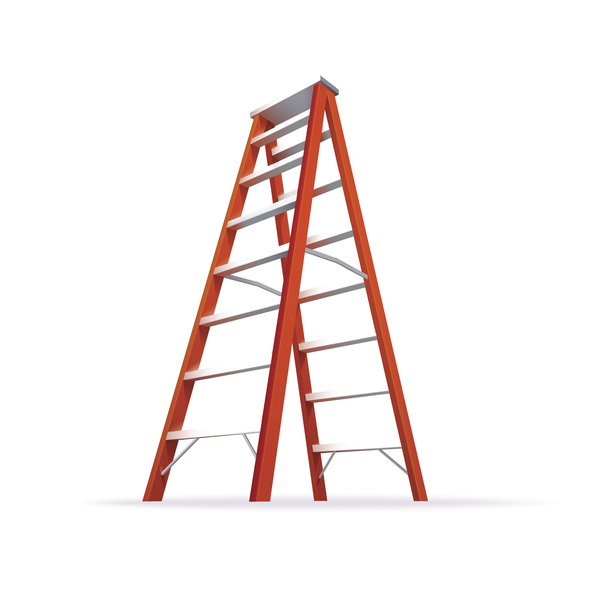 As reported by the CDC, ladder falls are one of the top causes of unintentional injuries in the United States. Luckily, falls are much less likely if you follow a few ladder safety precautions. Not all ladders are the same. Some reach up higher than others, some are made for outdoor or indoor use specifically, and they each have different weight limits. If you use the wrong kind of ladder, it may not be sturdy or stable enough to hold you safely. Ladders can get worn out over time. It’s important to make sure there are no cracks or weaknesses in the rungs or anywhere else on the ladder. Any damages can compromise the safety of the ladder and make it hazardous for you to use. Make sure you wear shoes that are not slippery. Leather soles are not a good choice, for example. A sturdy pair of rubber-soled sneakers that fit you well are perfect. If the shoes are too loose, they can also pose a slipping hazard. The best way to prevent the ladder from tipping over is to place it on a flat, firm surface. If you only have a grassy or dirt-filled area in your yard, place a flat board under the feet of the ladder to stabilize it. The safest way to climb a ladder is by making sure you always have three points of contact with it. That means your body should face the ladder, and you should have one hand and two feet or two feet and one hand gripping the ladder at all times. Cleaning your own gutters is a simple activity, but it can turn dangerous if you don’t practice ladder safety. If you feel you want an expert to handle this job for you, look no further than All County Sewer! We can get your gutters cleaned safely and thoroughly, so you won’t have to worry about flooding or any other complications from having clogged gutters, and you won’t have to risk your safety on a ladder.